In this article, we will discuss home remedies for toothache. The toothache can give you a throbbing pain in your teeth or around your jaws and sometimes even go up into your head. If youвЂ™ve ever had a toothache or you have a young child or a teething baby that has a toothache, you know that it can be painful, that continuous pain can make you irritable and give you sleepless nights. A toothache can happen to any of us any point of time and mostly it always because of some neglect. If you take proper care of your teeth and take appropriate precautions you are most likely to never suffer from a toothache. 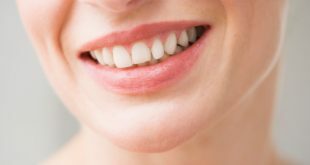 Teeth are essential to overall health and they enable us to eat foods that provide our bodies with the nutrients they need to function properly. Therefore, if something is wrong with the teeth, we will have a major problem eating such foods and taking care of our bodies. However, when suffering from such a condition, try and search for a home remedy for toothache which gives you relief from the pain and helps to solve the problem. You should ideally visit a doctor only when an infection is worse and your pain is too severe to bear. A toothache happens when the central region of the tooth, known as the pulp, becomes irritated or inflamed. ItвЂ™s important to know that the pulp can become inflamed or irritated for many reasons. 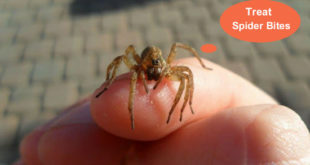 The pulp consists of several nerve endings that are highly sensitive as well. A toothache can range from mild to throbbing to excruciating for different people. Throbbing and sharp pain in the tooth. Stinking drainage from the infected tooth. Tea tree oil comes in handy when you want to get rid of toothache. It is not just good for acne and blemishes, but its other therapeutic properties have done a lot of good for people over the years. 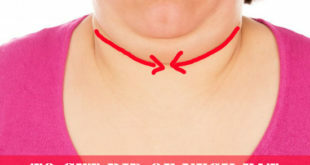 For this, just take a glass of water and put a few drops of tea tree oil in it. Now use this as a mouthwash at least 3-4 times a day. 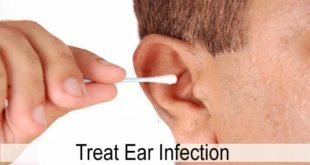 This solution helps to remove the bacteriaвЂ™s and also helps to make you feel refreshed. A really effective home remedy for toothache, even doctors highly recommend it as one of the best home remedies for toothache. Apple cider vinegar has long been used for a lot of ailments and conditions and it is one of the very effective home remedies for toothache. You can simply use apple cider vinegar as a mouth gargle to benefit most from it. Here, just put some apple cider vinegar in a glass of water and gargle with it for about 10 seconds. 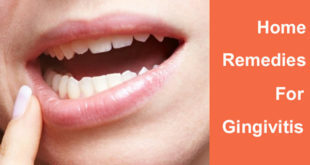 This not only helps to get rid of the toothache really quickly, but also helps to kill the bacteriaвЂ™s almost instantly. Do this once or twice every day for maximum effects here. Be sure the apple cider brand you are using is a good brand and not a cheap one. Onions have antiseptic and antimicrobial properties that control a toothache. 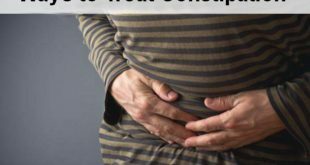 Sufferers have gone as far as saying that itвЂ™s as effective as eight capsules of Advil and a bottle of Orajel for curing a toothache. Placing a piece of raw onion over the painful area is something thatвЂ™s even been recommended by some dentists. ItвЂ™s important that the slice is freshly cut so that some onion juice is released. Just cut a piece of onion into a size that comfortably fits into your mouth and apply it to the affected area. Allow it to sit for five minutes, or even longer if you can. You can do this at least twice a day for curing a toothache and getting rid of it. It is considered as one of the wonderful home remedies for toothache and will help to give you a lot of relief within just a few applications. Garlic has antibiotic and other medicinal properties that can be very effective in reducing the pain. This wonderful food product can also provide immense relief from toothache almost instantly. What makes it so effective for healing is a compound known as allicin вЂ“ it offers a powerful antibiotic effect which is released when garlic is crushed, providing relief to the affected area itвЂ™s applied to. It also helps to fight the infection from the inside, as there is likely to be a significant amount of inflammation and swelling and makes up as one of the really good home remedies for toothache. 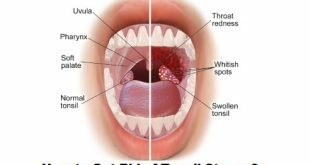 Here just mix a crushed garlic clove (or garlic powder) with some table salt or black salt and apply it directly on the affected tooth to alleviate the pain. In case you are comfortable, you can chew one or two cloves of garlic to get relief. Repeat this natural treatment for a few days. Pepper is anti-bacterial and salt reduces swelling and aids in healing. A mixture of these two ingredients is wonderful when a tooth becomes extremely sensitive as both the ingredients have antibacterial, anti-inflammatory and analgesic properties which help a lot while suffering from a toothache. 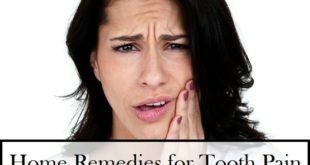 This remedy is one of the great home remedies for toothache and will give you a lot of relief from the throbbing pain and the hardness you feel in the tooth. To benefit from this, Mix equal amounts of pepper and common salt with a few drops of water to form a paste. Let it sit for sometime after applying it directly on the affected tooth. Do this daily for several days. You can do it twice a day as well if you find it difficult to bear the pain. It is a natural remedy and wonвЂ™t do any side effects. 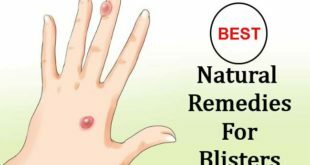 A lot of people have used this remedy and have reported to have seen some extraordinary results. Vanilla has a calming effect. Due to the presence of alcohol vanilla helps in killing the bacteria that cause toothache whenever it happens. Vanilla extract is another popular home remedy for toothache as it helps numb the pain and provides you instant comfort. To benefit from vanilla, Dip a cotton swab in vanilla extract and dab it on the affected area. Do this a few times a day until you get relief. You may have to do it for a few days till your toothache gets treated completely with this remedy. However a lot of people prefer this remedy simply because of the good aroma and taste of vanilla. It instantly refreshes you and helps to give your mouth a sweet smell as well. Make sure you are using vanilla extract here rather than vanilla essence which is famously used for baking. Herbalists recommend using them in paste form to maintain good oral hygiene as theyвЂ™re known to reduce gum inflammation and leave breath fresh and clean. Fresh guava leaves can also alleviate toothache, thanks to their anti-inflammatory, analgesic and antimicrobial properties. 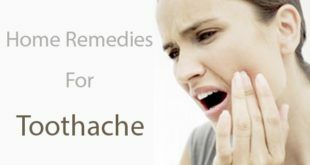 It is widely considered as a really good home remedy for toothache and helps to alleviate the pain besides treating the problem from the root cause. To benefit from guava leaves, put four to five guava leaves in water and boil it. Let this solution cool down a bit and then add some salt and mix it properly. Use the solution as a mouthwash. Alternately chew one or two tender guava leaves until the juice starts working on the affected tooth. Some spinach leaves can also be used in a similar way here. Extract the juice of wheatgrass and use it as a mouthwash here to help you get rid of a toothache. This amazing natural product has natural antibacterial properties that will help fight tooth decay and relieve toothache within a few minutes. 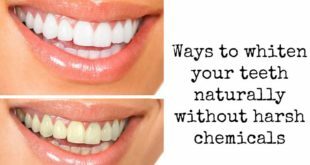 It also helps to absorb toxins from the gums, reduce bacteria growth and keep the infection under control until it can be addressed by a professional. 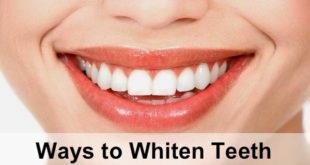 It will also absorb toxins from the gums, reduce the growth of bacteria and keep the infection under control. If you donвЂ™t want to go for the juice, you can also opt for fresh wheatgrass leaves which you can chew as it is. 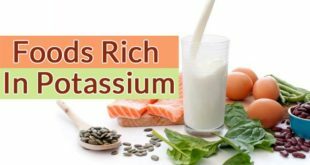 It is one of the really favoured home remedies for toothache and will help you to get rid of the toothache effectively within a few applications. It will help reduce swelling and inflammation, and also fight the bacteria that cause infection. Salt water is one of the most popular home remedies for toothache and you can use salt water many times a day to get rid of a toothache. Salt water helps to cleanse any loose debris in the mouth as well as any potentially harmful bacteria that might be in or around the affected area. Just take some hot water and then add half a spoon of salt to it and rinse your mouth when suffering from a toothache. This remedy can also be safely used for adults as well as children without any worries. Just make sure the water is not too hot that it burns your mouth and it is pure table salt that you are using for this purpose. Cloves have anti-inflammatory, antibacterial, antioxidant and anesthetic properties that help alleviate tooth pain and fight infection. ItвЂ™s been known that cloves help to numb the nerves, thanks to its primary chemical compound: Eugenia, a natural anesthetic present in them. Clove oil is easily available as well and has been used for a lot of bodily problems since ages. Moreover, it will also help to give your mouth a nice smell if you have been suffering from any foul smell because of the toothache. It can fight against all kinds of dental pain, including cavities, mouth ulcers, and sore gums; in fact, youвЂ™ve probably seen it as an ingredient in dental products. Here, just take a small amount of natural clove oil, and rub it right on the area very gently. Now, for teething babies, mix the clove oil with an equal amount of coconut oil and then use that mixture to rub it right on the area. Peppermint works because menthol,naturally occurs in mint, is known as an effective pain blocker, desensitizing an area through the cold menthol receptor. Similar to clove oil, peppermint offers natural numbing properties that can bring relief to an aching tooth. 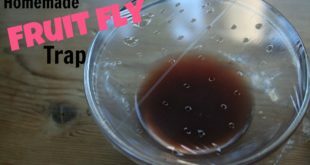 One of the easiest ways to use it as a peppermint tea bag . To treat your toothache, place a peppermint tea bag in the refrigerator or freezer until itвЂ™s cold (unless youвЂ™re cold sensitive вЂ“ in that case skip this part). Then, apply the tea bag directly onto the affected area for about 20 minutes. This is a really wonderful home remedy for toothache and will help to ease the pain to a great extent. You can also use peppermint essential oil here, just add a few drops to a cotton ball and place it onto the affected area at least for 5-8 minutes twice a day. Asafoetida destroys the bacteria that cause toothache and relieves pain. It is also easily available in our kitchen and therefore it is easy to use this product when suffering from a toothache. Dental problems such as toothaches and bleeding gums can be treated at home with the use of asafoetida and this is a proven fact. For instant relief simply fry some asafoetida in clarified butter and then use it directly on the tooth cavity for some time. Alternately add a pinch or one-half teaspoon of powdered asafetida to two teaspoons of lemon juice and then warm it slightly. Now take a cotton ball, soak it in the solution and apply this mixture over the tooth cavity. This will give you quick relief from the pain. It is a great home remedy for toothache and will give you instant relief. Visit your dentist every 6 months and replace your toothbrush every 3 months. Eat soft foods until you can see the dentist. Try to avoid extremely hot or cold foods. 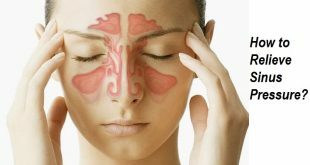 If you suffer from any pain on the side of your face, it is most likely due to sinus congestion, not toothache at most times. Elevate your head while sleeping to relieve pain. Avoid stress and get plenty of rest. Apply VickвЂ™s vaporub to the outside of the jaw to relieve pain. Rinse with lukewarm water after eating. In addition to trying these home remedies for toothache, make sure to consult your dentist. 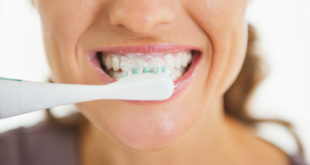 There are some serious and more grave dental and gum problems which require more aggressive treatment than home remedies in order to treat them. Previous How to Get Rid of a Black Eye?